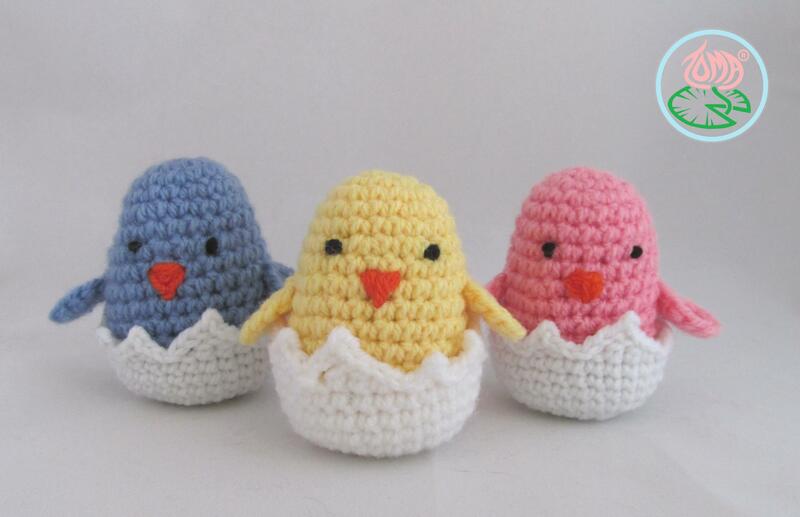 Easter-Spring super easy and quick amigurumi project. Finished Size: Approximately 8cm (3in) tall. If you are using different yarn brand or type, use a hook size at least 0.5mm less than suggested on the yarn label (applicable only for acrylic yarn) to create tight stitches. For certain instructions e.g. Amigurumi adjustable ring, French knots, Fasten off when working in continuous rounds click on the link for detailed ‘how-to’. Row 3: (2sc inc, sc × 1) × 6. Total 18sts. Secure the tail at the adjustable ring. Row 15: (sc2tog, sc × 7) × 3. Total 24sts. Stuff the body tightly with polyfill. Fasten off, secure and hide the tail. Row 3: (2sc inc) × 12. Total 24sts. Secure the tail at the adjustable ring. Row 9: > slst, [ch4, slst into 2nd ch from hook], dc, hdc, sc, slst × 2, [ch2-slst into 2nd ch from hook], slst × 2, [ch3-slst into 2nd ch from hook], sc, slst, repeat from > another two times. Note: working into chs are in [brackets], sts not in brackets are worked into the 8th row. Place the body into the Eggshell. EYES: made out of French knots with single strand of BLACK YARN using tapestry needle. BEAK: made out of straight embroidery stitches creating triangle with double strand of ORANGE YARN using tapestry needle. Mass production and Internet sales of the finished item based on the pattern are not allowed. If you are interested in doing so please contact me. Sorry, but Row 9 on the eggshell is very confusing to me. After you [ch4, slst into 2nd ch from hook], this next part dc, hdc, sc, slst × 2, is that in the next two chains of the chain 4 or is that on the row? hi there, the: dc, hdc, sc, slst × 2 is back into the row 8. working into chs are in [brackets] and everything else are worked into the 8th row. hello there, I am a Dutch women and I like this pattern. But I don’t understant how to make the eggshell. I have till row 5 30 sts. In row 5-8 I have to make 18sc and total 21 sts. Thats not possible. How do I have to do this.Were are the other 3 sts (18 till 21) en the other 9 sts from 30 till 21? Thank you for your answer. Please in simple englisch. Pingback: Cute Easter Sewing Projects | Sew, What's New? oh my goodness – they are so cute. 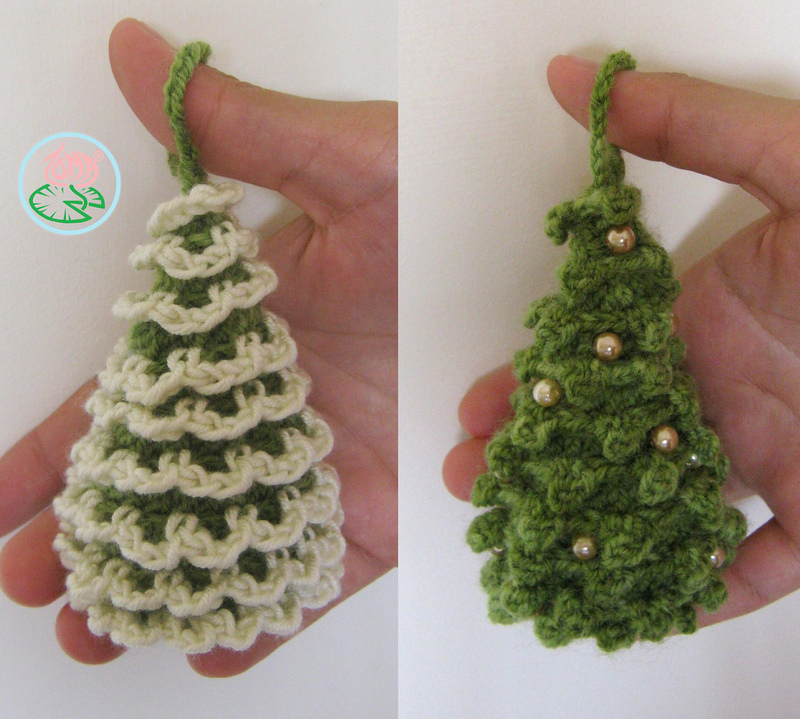 And your pattern is really wonderful: it’s easy understandable and a fun crochet project. Made 3 yesterday in the evening and everybody has a big smile on his face seeing them. Thanks so much sharing this pattern! I can not get this pattern to print. Hi, can I have it in Dutch?